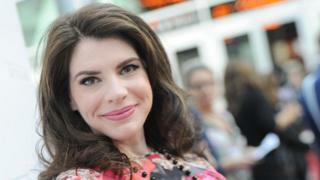 Twilight Saga author Stephenie Meyer is to publish her second adult novel - a thriller about secret agents. The Chemist tells the story of an ex-US government agent on the run who has to take on one last job. Meyer's Twilight novels about teenager Bella Swan and vampire Edward Cullen, later turned into films starring Kristen Stewart and Robert Pattinson, sold 155 million copies. Her last adult novel, The Host, was released in 2009. Writing on her website, Meyer said she was "looking forward" to sharing The Chemist with her fans - once she had finished the editing process. Publishers Little, Brown said the book, released in November, tells the story of a "fierce and fascinating new heroine with a very specialised skill set". Meyer told the Wall Street Journal: "The Chemist is the love child created from the union of my romantic sensibilities and my obsession with Jason Bourne/Aaron Cross [from the Bourne series of films]. "I very much enjoyed spending time with a different kind of action hero, one whose primary weapon isn't a gun or a knife or bulging muscles, but rather her brain." Meyer released Life and Death: Twilight Reimagined last year, which switched the genders of the series' protagonists. Follow us on Twitter @BBCNewsEnts, on Instagram, or email entertainment.news@bbc.co.uk.